KAMPALA – Police on Monday arrested eight suspects in connection with a Saturday night attack on a man at Lugogo Bypass traffic lights in Kampala. The thugs, who smashed the man’s car, injuring him seriously, are said to have been attending holiday leavers’ party known as Kadanke, which had been organised at UMA show grounds. “Our police officers police responded and arrested some suspects. We have seven at Kira Road, five at Jinja Road and one at Wandegeya. 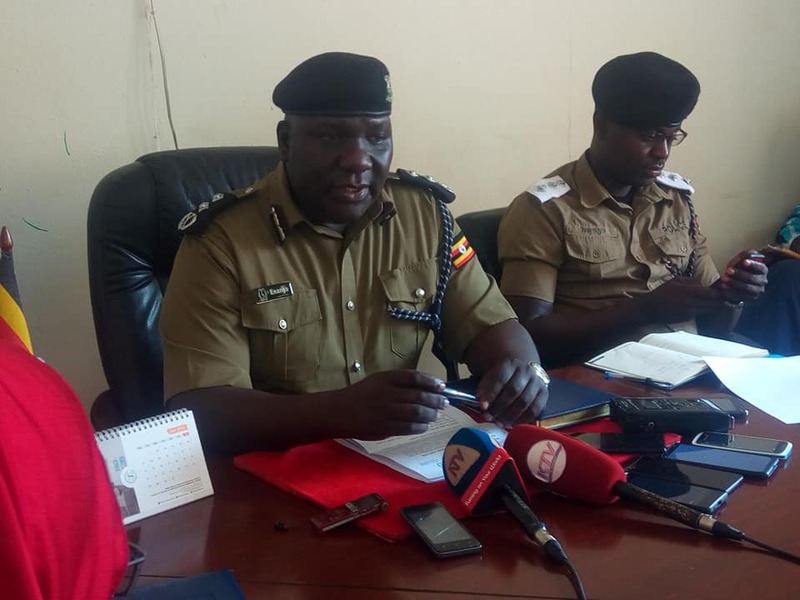 We ask people who were victimized to come and open cases with us so that we can investigate,” Kampala Metropolitan deputy police spokesperson Luke Owoyesigyire said. Pictures of the unidentified man who was allegedly hit by the thugs have been making surrounds on social media, attracting complaints from a number of other people who also claim to have been victimized on the same day at the same spot. Mr Enanga said they were yet to establish the hospital where the man who was hit is admitted to. He added that police would interview him to know whether he can identify the suspects. Police spokesperson Fred Enanga said the injured man was saved by traffic officers, warning drivers to be careful especially when driving alone in late hours. “We advise drivers to slow down and keep a distance when traffic lights stop them, especially in late night hours. But that is not enough, they should also stop at a distance that is enough for them to drive off in case they suspect danger in night hours where there are very few people,” Mr Enanga said.